July 11, 2011 at 3:45pm . 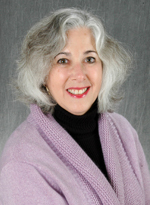 Sara Rosenbaum is a Harold and Jane Hirsh Professor and founding Chair of the Department of Health Policy at The George Washington University School of Public Health and Health Services. Between 1993 and 1994, Professor Rosenbaum worked for President Clinton, directing the legislative drafting of the Health Security Act and developing the Vaccines for Children program. She has also served on the Presidential Transition Team for President-Elect Obama. Professor Rosenbaum is a member of CDC’s Advisory Committee on Immunization Practice (ACIP) and Director’s Advisory Committee. She also serves as a Commissioner on the Medicaid and CHIP Payment and Access Commission, which advises Congress on federal Medicaid and CHIP policy. During this call, Dr. Rosenbaum discusses Medicaid reimbursement policies and access to care among low-income Americans and how the system can be improved.